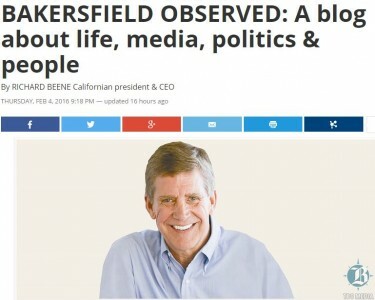 Email Richard Beene, Californian ­president and CEO, at rsbeene@yahoo.com. His column appears here on Mondays, Wednesdays and Fridays; the views expressed are his own. Read more on his blog at ­BakersfieldObserved.com.